My step daughter has returned for her summer holidays; whenever she is here I try to bake things for her that she will enjoy. 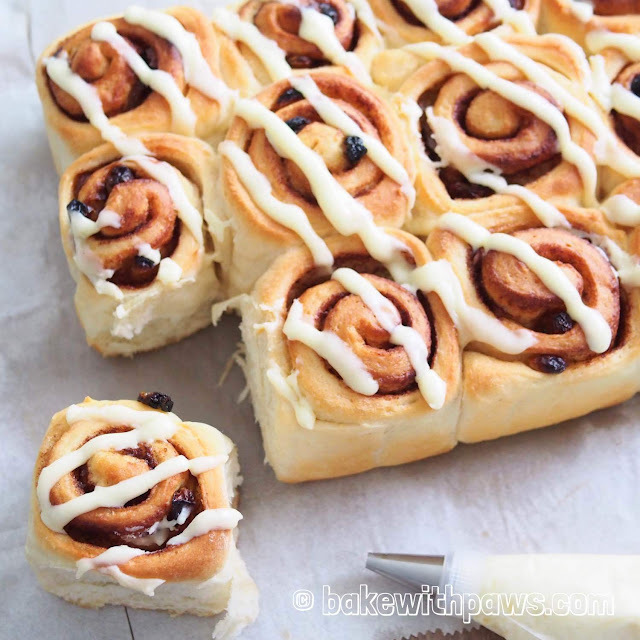 She was so delighted when she came across the Pumpkin Cinnamon Rolls in my baking book, “Low Sugar Bakes and Cakes,” and told me that cinnamon rolls are her favourite. 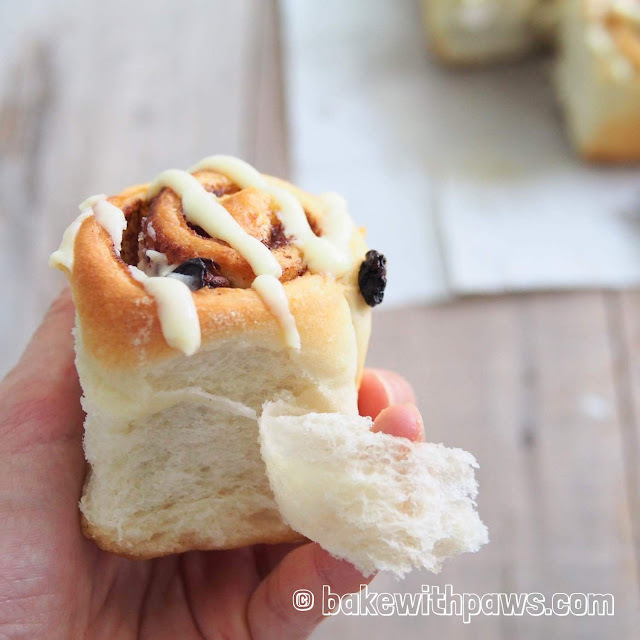 Recently, I have been baking lots of bread using the ‘Yudane’ method and so I thought it would be interesting to try making the cinnamon rolls using this method as well. Yes, the result was indeed very pleasing – the bread itself came out very moist and soft, yet was not too sweet. It complemented the cinnamon mixture and cream cheese frosting very well! Note: I made the yudane dough 4 hours before and left it outside instead of in the fridge. It works too. Put all ingredients into the bowl of stand mixer. Using the dough hook, knead until the dough comes together and is beginning to become elastic and tacky, but not sticky. Tacky dough behaves sort of like a Post-it note, sticking to a surface but peeling off easily. It takes around 15 minutes. If the dough is too dry, add 1 tablespoon of milk at a time or vice versa, if you find the dough too wet, add 1 tbsp of flour at a time. Combine cinnamon powder and brown sugar in a small bowl. Set aside. When doubled in size, punch down dough. Roll out on a floured surface into a rectangle (21” X 10.5”). Spread melted butter all over dough. 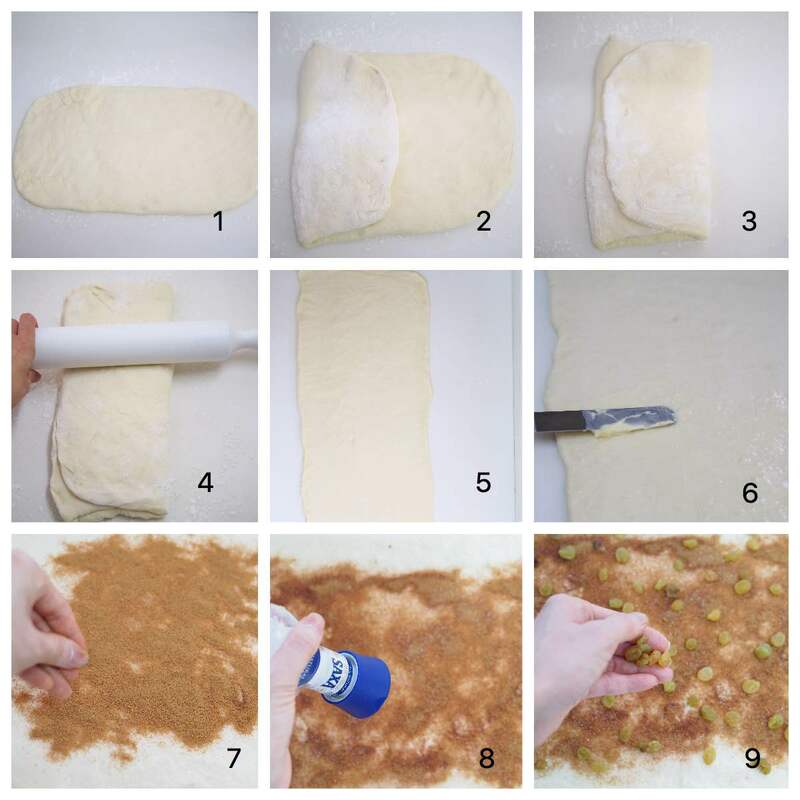 Sprinkle cinnamon and sugar mixture over buttered dough then sprinkle some sea salt. 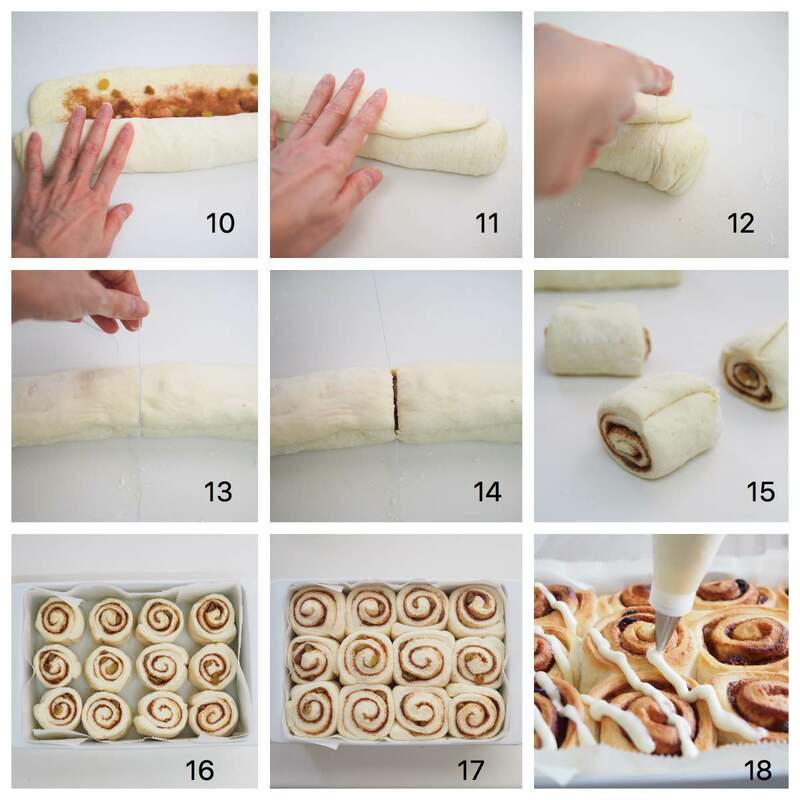 Starting with the widest end, roll the dough into a log like swiss roll. Pinch to seal seams. Trim both ends with a string floss or thread. Divide dough into 12 equal sections and cut the dough with a string floss or thread. 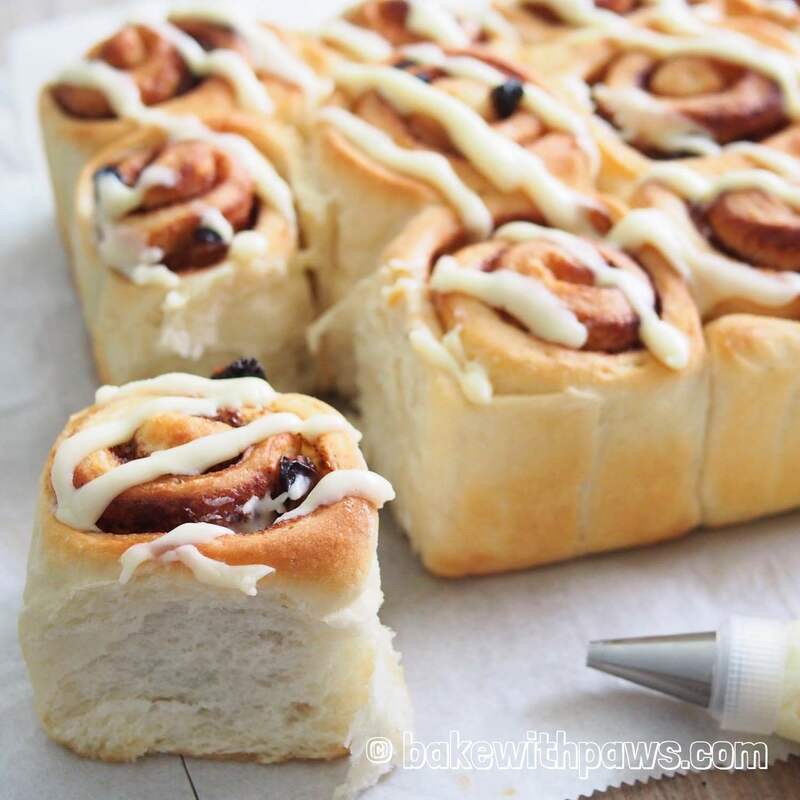 Place the rolls in a prepared baking pan. Let it rise until nearly doubled, about 45 minutes. Meanwhile, preheat oven to 180C. 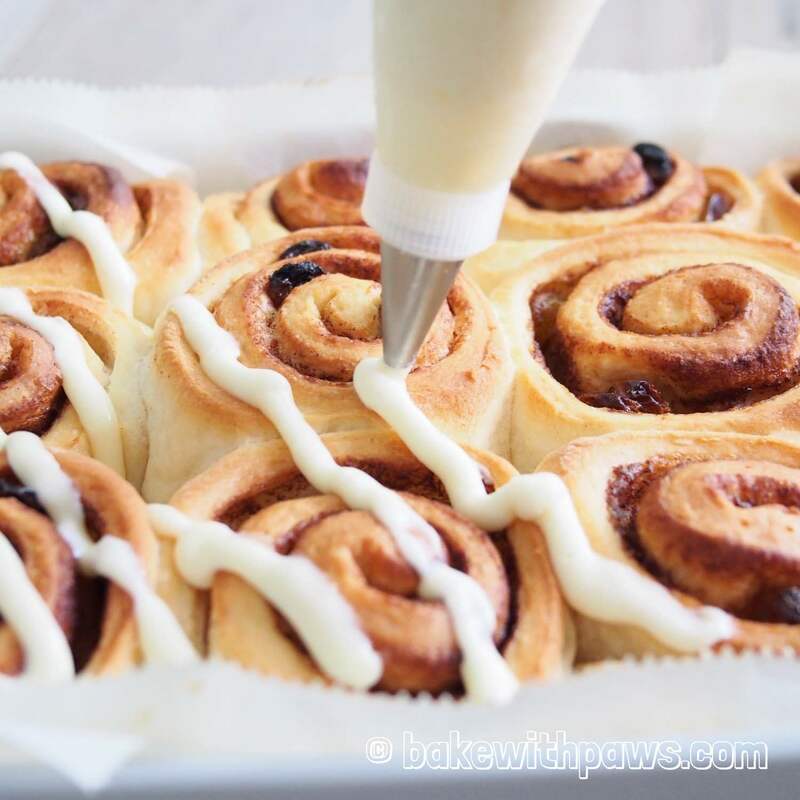 Remove rolls from oven and immediately pipe the cream cheese frosting over warm rolls. Cut the butter and cream cheese into cubes. Set aside. In a bowl of electric mixer, beat cream cheese, butter, powdered sugar, salt and vanilla extract until smooth with the paddle attachment. Transfer the frosting into a piping bag fitted with Wilton 8 round tip. Note: The balance of the cream cheese frosting can be stored in the freezer for up to couple of months. Thank you for dropping by. Yes, add Yudane together with all the ingredients.